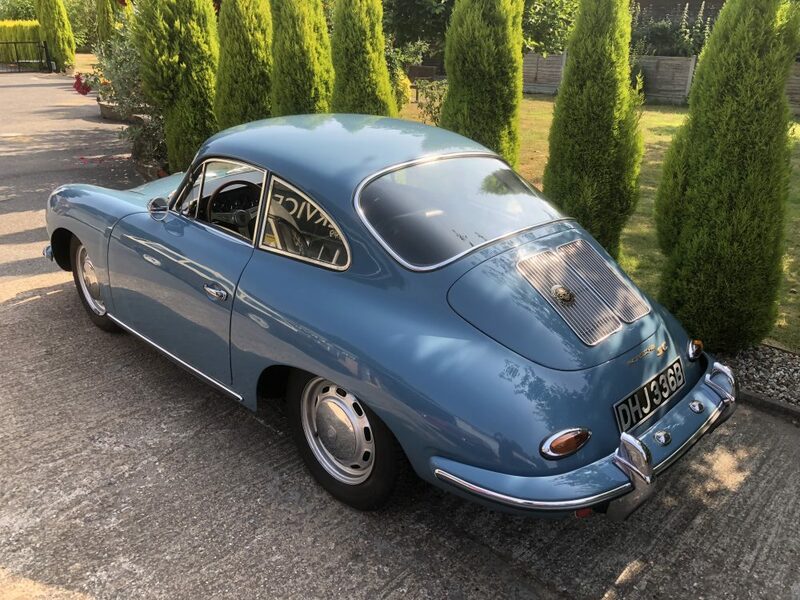 We are proud to offer for sale on behalf of our customer, a very rare right-hand drive example of the ever popular T1 ‘A’ Coupe. Original UK delivered AFN car. It was the 101st Porsche sold by AFN (Fraser Nash) through the dealer Moortown Motors. 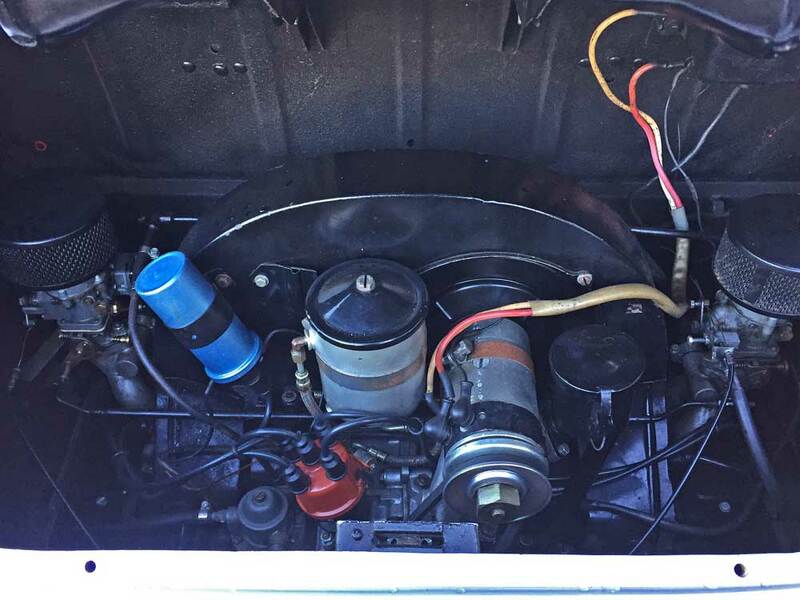 According to records it was the first RHD car supplied with Zenith carburettors. 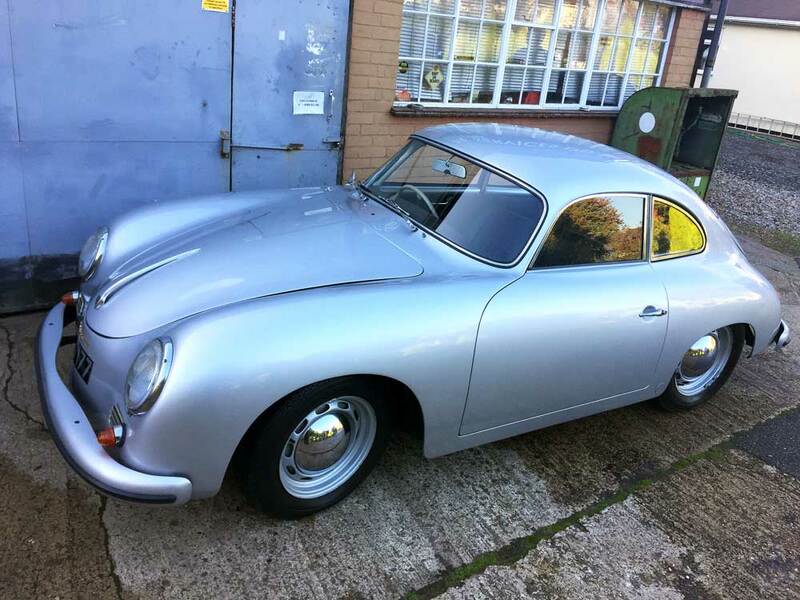 Porsche completion date was 28th November 1955 and the car was delivered 22nd February 1956 to its first owner C.R Cornish. Somewhere along the way it has had its engine swapped to 63282, a later engine of exactly the same spec and its gearbox has also been changed to a later type 644 tunnel box for improvement. 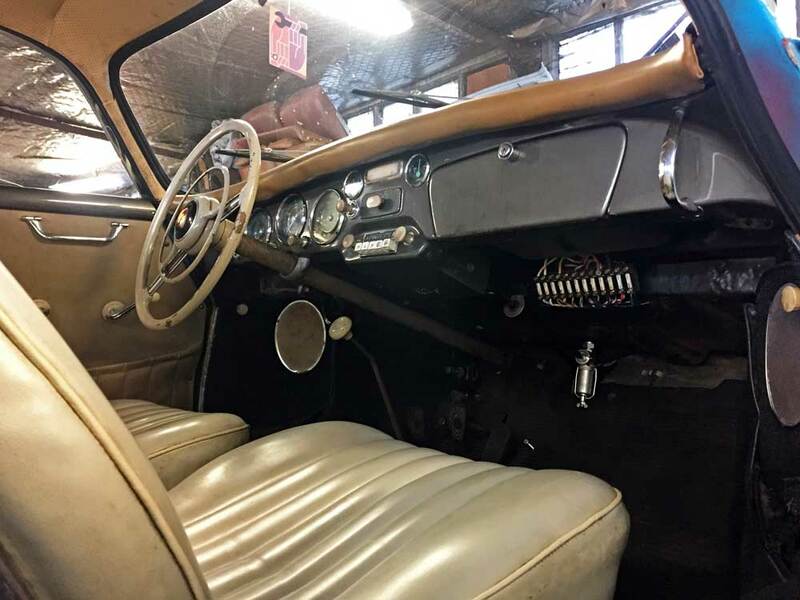 The old records also show the car being an original Silver car but with a red interior. 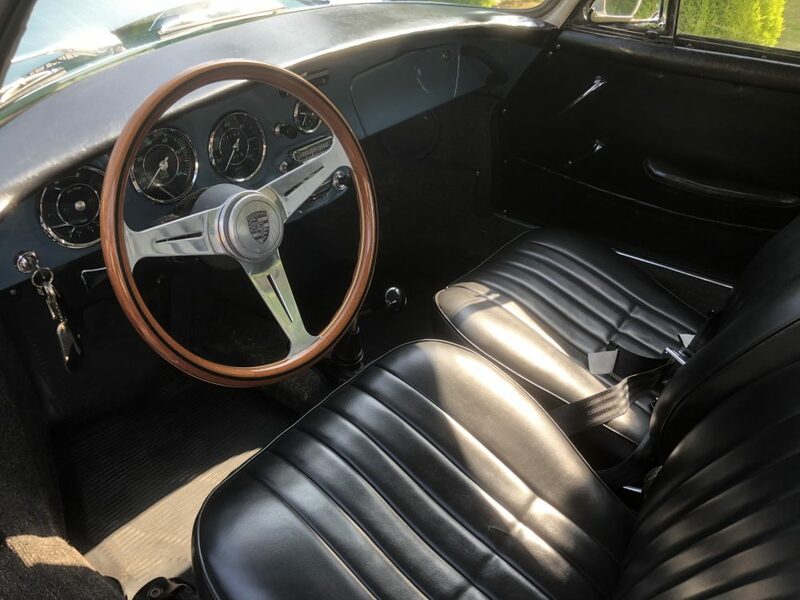 It now fashions black leather seats and retains its iconic Silver exterior. Mechanically the car has been maintained regardless of cost and makes a 370 round mile trip to be serviced with no problems at all. 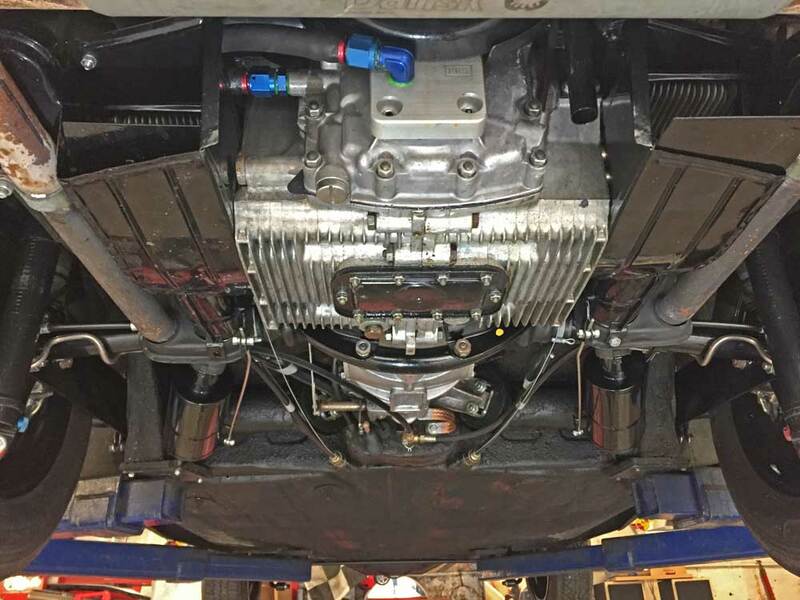 The mechanics have been worked on in a way to make the car reliable with a twin piston brake master cylinder and a carb choke system set up. The body-work has acceptable door gaps, the engine lid and bonnet could be better. There is no rust but there is signs of old previous repairs, much as would be expected with any UK delivered car. In fact it was a pleasant surprise to look under the car not see a whole rake of poor workmanship. Inside the front boot floor is slightly distorted, there is no evidence of why? The more astute eye will also notice that the car has later type rear lights and not the more desirable twin bee-hive style which would have been originally fitted. To sum up, the car is a very respectable pretty little driving car that would benefit from further work or just enjoyed as it is. 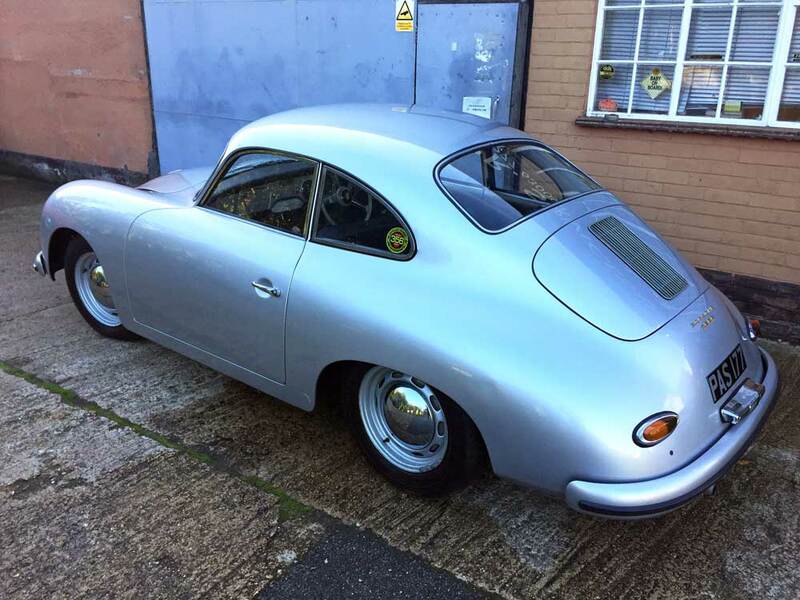 We are proud to offer for sale on behalf of our customer this mechanically sound outlaw 356 T1 ‘A’. We imported this car and outlawed it for a very good customer a while back. It was a Black plate Californian car that came out of south San Francisco… never welded as far as we can see! It’s what we would call a survivor… it was clearly used by a student as it still has a university parking sticker from 1977 on the rear nudge bar… which is seriously cool!! Original colour is graphite metallic and this is still the dash colour. 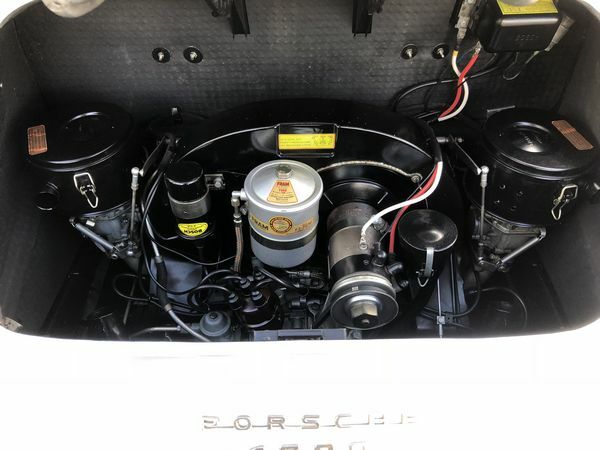 We went through the car and restored it mechanically front to back. 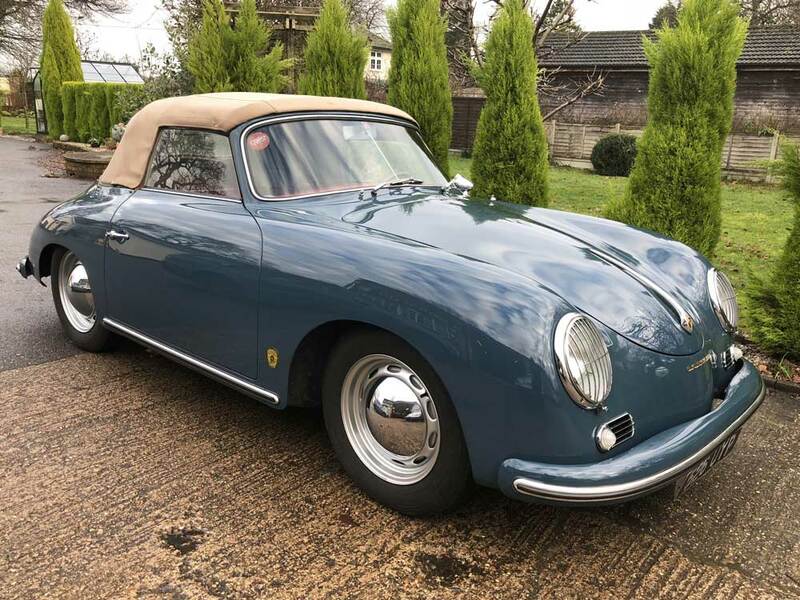 It’s on real Porsche 356 ‘C’ brakes front and back. Engine is out to 1720cc and has a bit of a wild cam. The engine was rebuilt new (never ran) when we got the car, you could see assembly lube on the cam which wasn’t broken in. It would be really easy to just paint it back to graphite metallic as there is no rust to deal with. Again… just turn the key and go! 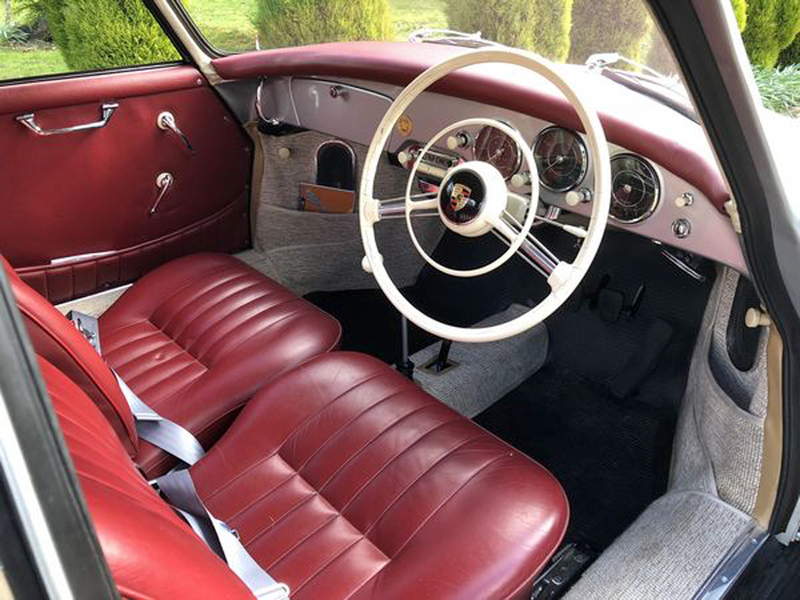 1958 Porsche 356 T2 Coupe, RHD, Silver with Red interior. Gearbox: 18760 (currently fitted with 10575). Delivered to Lindsay Saker Motors (Johannesburg) 11th March 1958. First owner: Hughes – Maister & Drysell (Dental Surgeons). Imported into the UK in 1988 by 356 Collector Aziz Abouseda this rare RHD car has had a subsequent further six owners. There are two huge history files along with a photographic restoration and copies of all the old log books, tax disc and piles of receipts. 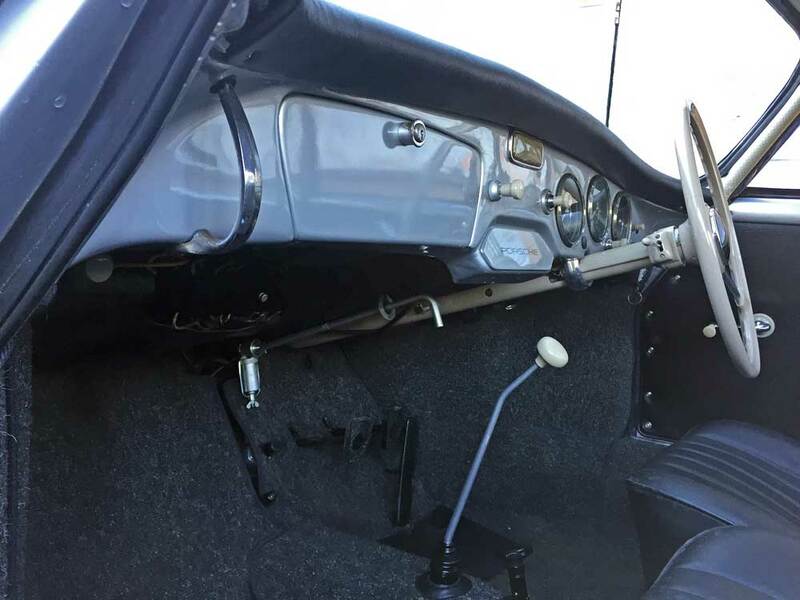 The car today is in beautiful condition with only a few minor blemishes that would be expected for a car that has been driven and used as it should. 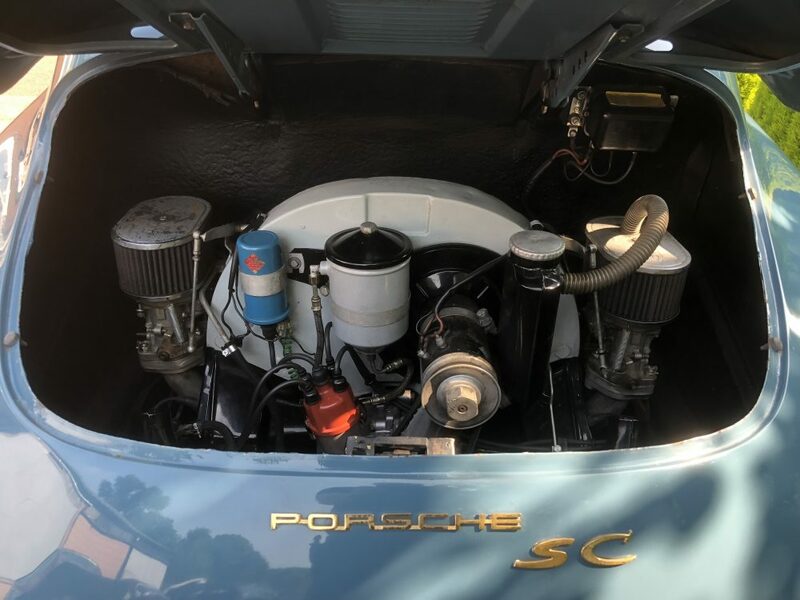 1957 Porsche 356 T1 Cab, LHD. Aqua Marine blue withe red interior (originally blue leather). Non matching engine but has been rebuilt to 90hp. 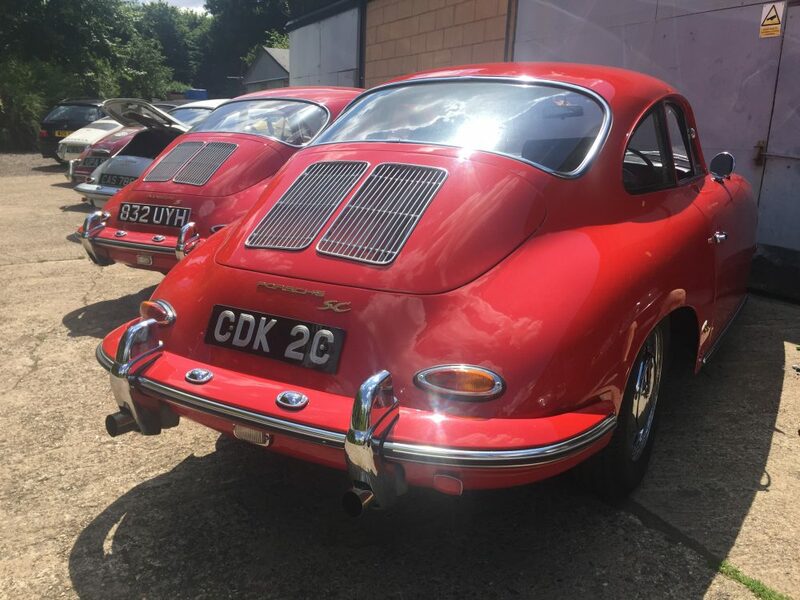 Matching numbers and fantastically original example of a UK Delivered Car. 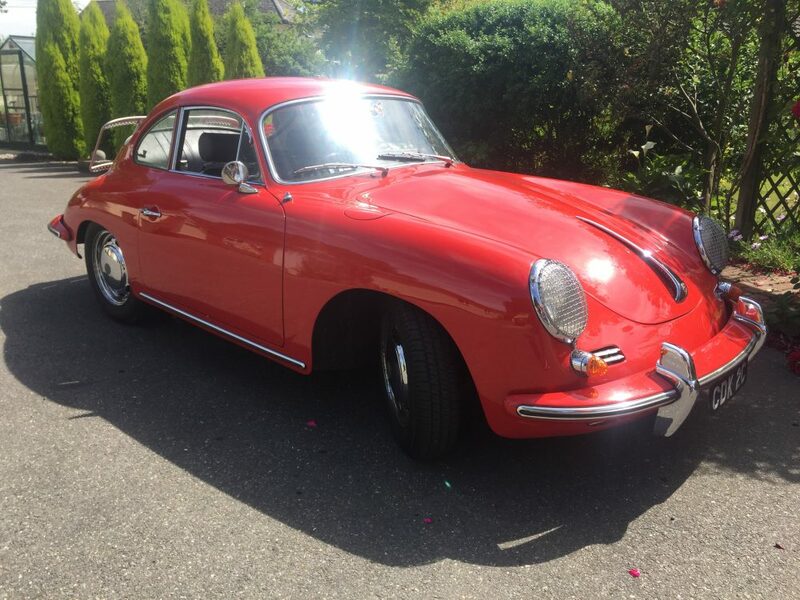 Chassis 129 779 was completed by Porsche on 15th May 1964 in Signal red with black interior. Ordered in RHD by UK importers AFN who took delivery 29th June 1964. 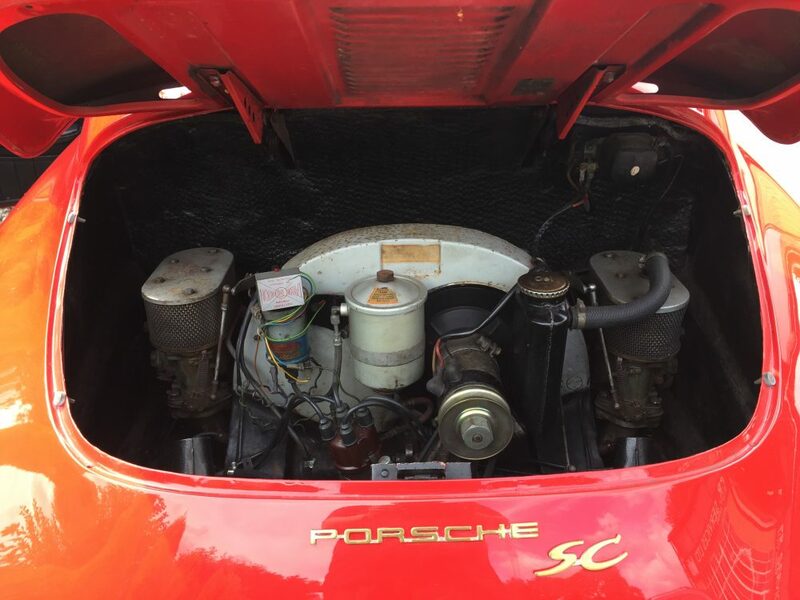 AFN records show that 129 779 was sold as an SC and the dealer changed its 75BHP engine for the more powerful 95BHP unit. This was common place at AFN due to customers changing their minds and the huge lead time for new cars to arrive. A copy of the Porsche certificate of Authenticity and AFN Cardex are available with the car. The AFN records also show the car to still retain its original registration number. The car itself remains a very original example probably due to being in single ownership for over 40 years. There is a note in the file that the car was laid up in storage for 23 of these years. 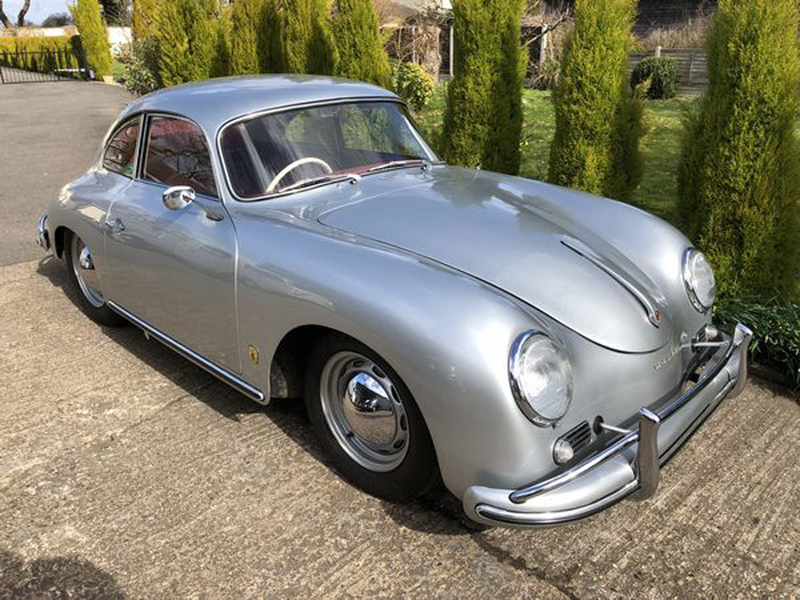 Late 356 ‘C’s are by far the best driving of all 356’s and to find an example ordered as an ‘SC’ and in RHD remains one of the rarest of finds. 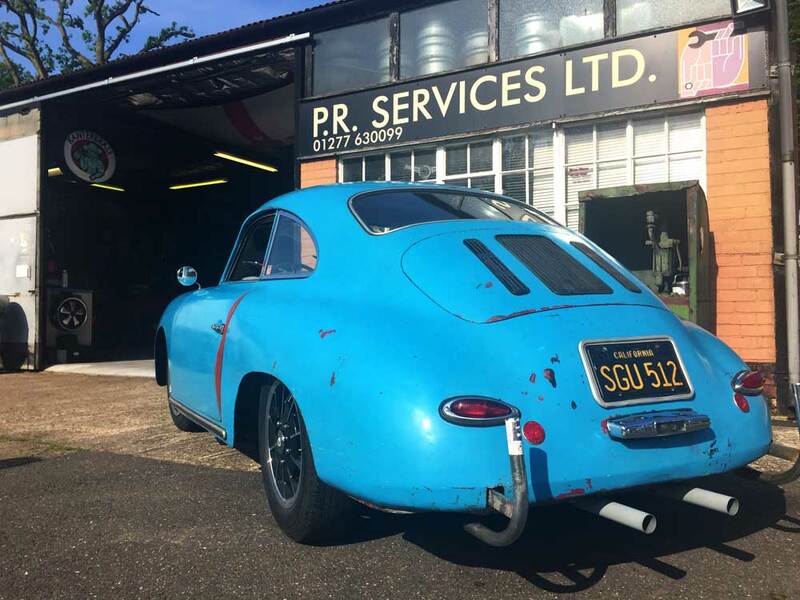 The current owner has spent a great deal of time sourcing correct date stamped wheels and had all the instruments rebuilt, changing rubbers etc. This a nice un-messed with example. There are a few bubbles of rust to both door bottoms and the rear of the left front wing but apart from that all is good. The gaps are also really good. The only other problem I can see are adhesion of paint in places but nothing has changed with the condition of the car since it was last sold in 2013, so you can live with it or paint it back to Champagne yellow or make the car your own? A quick drive around the block and it is confirmed that the car is bloody lovely to drive. The SC engine pulls strong on Weber carbs and starts first time every time. Gear-change is slick and the disc brakes all-round pull up as they should. 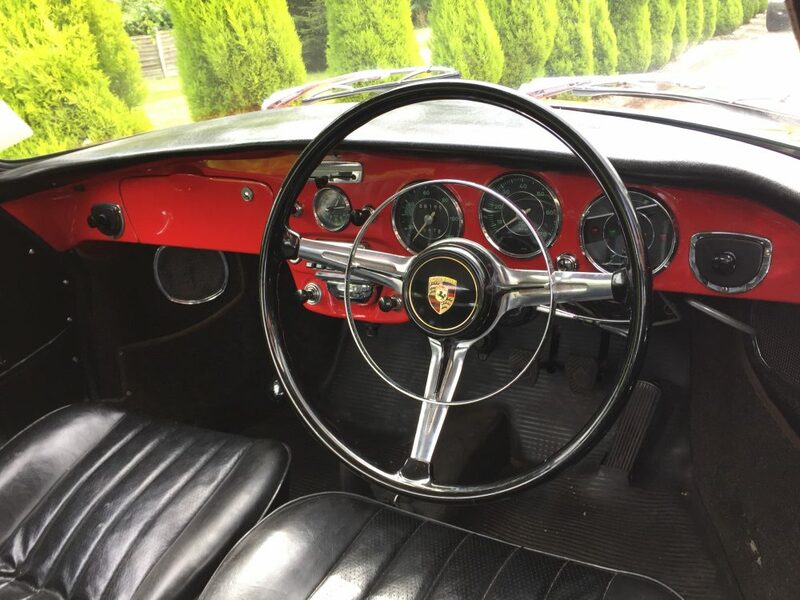 Steering is one finger precise and it’s not long until the big smile arrives on your face. 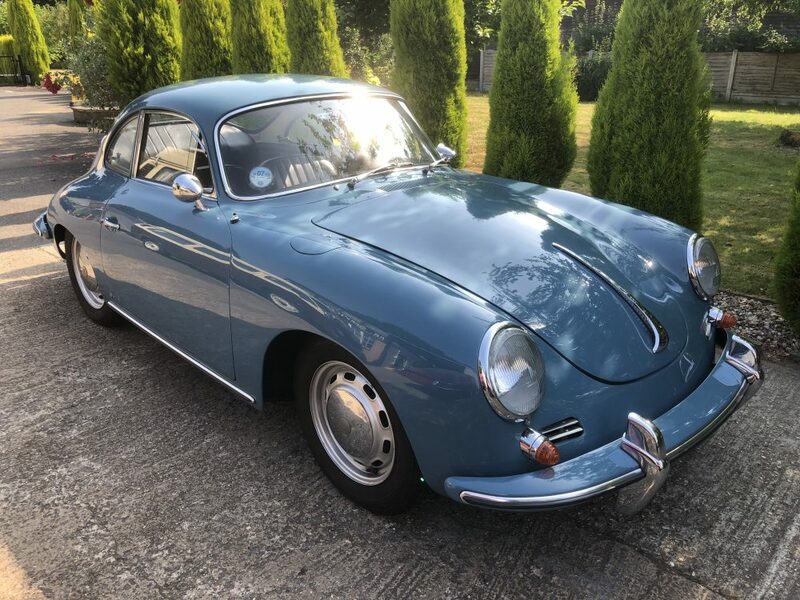 There is a history file with the car that contains receipts and paper work from when the car arrived in the UK, along with old tax discs, MOTs, insurance certificates, old photos, Log Book and Porsche Certificate of Authenticity. 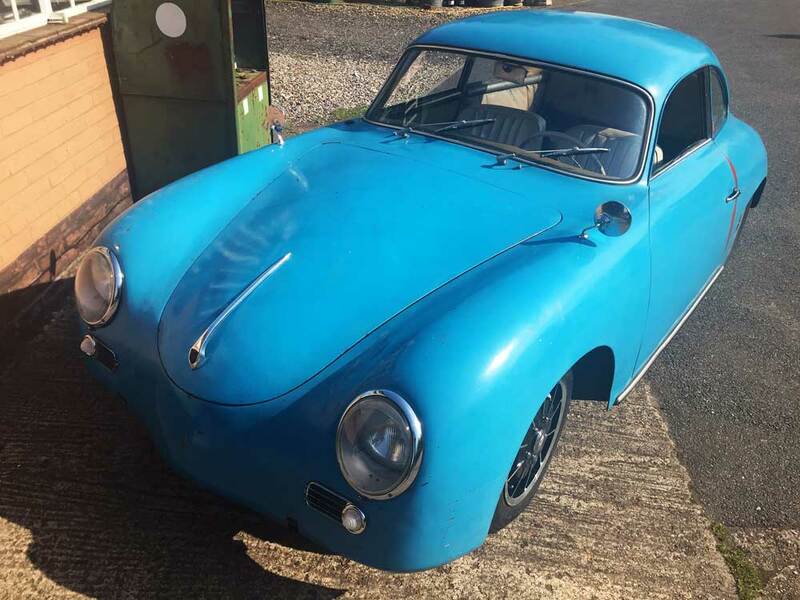 By far the most fun and usable of all the 356’s. 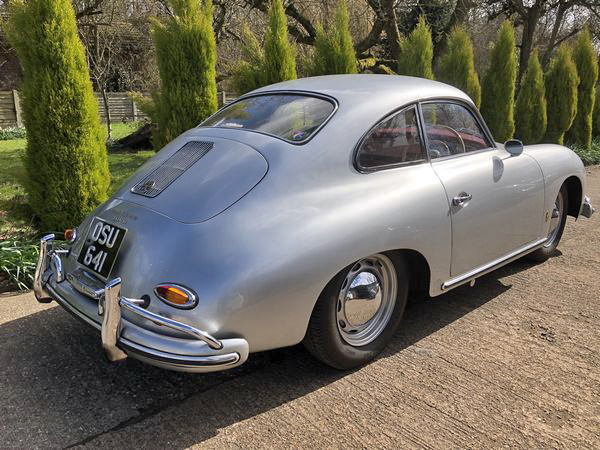 A 356 ‘C’ is a car that you can truly use as an everyday car…the rest of the industry has just about caught up with where Porsche were in 1964!